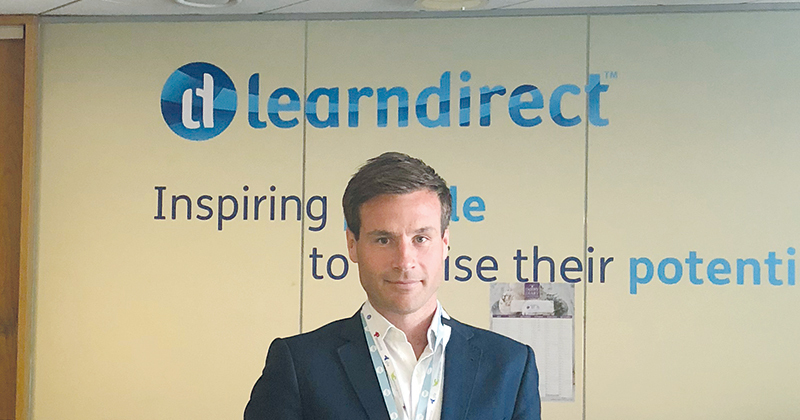 Learndirect has started to win government funding to deliver skills training again, after its new owner secured more than £20 million worth of European Social Fund contracts. FE Week understands that the nation’s former largest FE provider won the funding, which is used to deliver employment and skills support to disadvantaged people, in four different areas across England following a recent tender. It now has contracts worth more than £10 million to deliver programmes in the Marches Local Enterprise Partnership, while £3 million is to be used across Derby and Nottingham, £4 million in the West of England, and nearly £3.5 million in North East London. The win comes six months after Learndirect had its various Education and Skills Funding Agency contracts, which totalled nearly £100 million, wound down following a damning grade four Ofsted report which surfaced in August 2017. The training provider came under new ownership in June following a sale to Wayne Janse van Rensburg (pictured) for his firm Dimensions Training Solution to take the reins. The £20 million ESF contracts will be run by run by ‘Dimensions Training Solution – Learndirect’. Mr Janse van Rensburg was approached but declined to comment as the results were in a 10-day standstill period, which ends on January 28. Dimensions Training Solution – Learndirect is nowhere near the size that it used to be, after Mr Janse van Rensburg sold its apprenticeships business in July and the government banned the company from being able to gain funding from the adult education budget following failures by its old leadership team. It can however bid and win ESF cash, which is not inspected by Ofsted because much of it does not fall under “education or training”. ESF funding for this country is administered through the Education and Skills Funding Agency, the Department for Work and Pensions, and the Big Lottery Fund, which each provide match funding. Many projects co-funded by ESFA, delivered with the involvement of local enterprise partnerships, focused on young people not in education, employment or training. Although Learndirect’s £20 million contracts sound like a large win on the face of it, it is actually less than half what the provider won during a previous ESF tender. In 2017, Learndirect secured 26 deals worth almost £49.5 million.